There’s a lot going on, but I haven’t been very good at blogging about it. Sorry about that. But I’m quite busy all the time, things take time and sometimes I just have to make priorities. 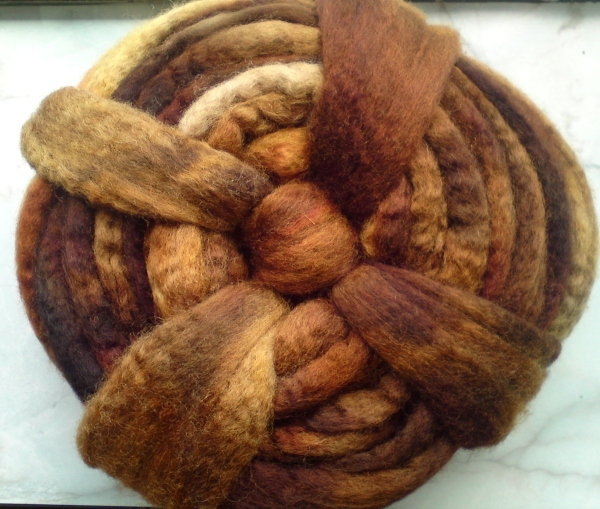 I have beeen doing a little bit of natural dyeing too. Inspired by an experiment from Jenny Deans book “Wild Colours” I dyed this bunch of very small skeins in one dye-pot, with Curled Dock (Rumex crispus). 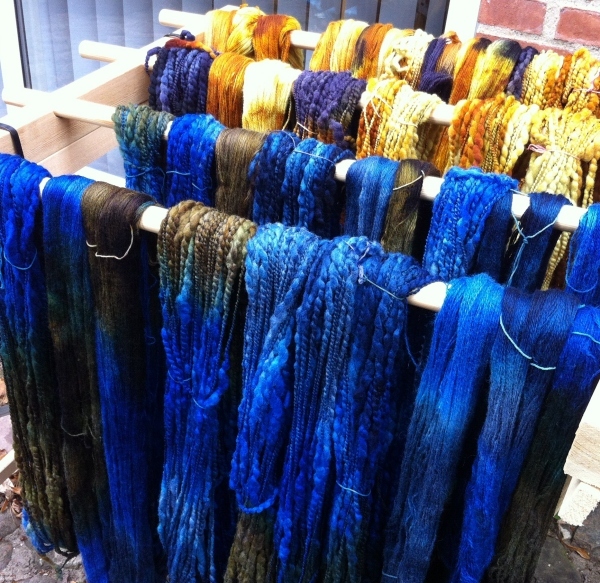 I had mordanted beforehand with different mordants and then I treated some of the skeins with different stuff after the dyeing. That way I got a lot (25) of different shades from just a single dyebath. 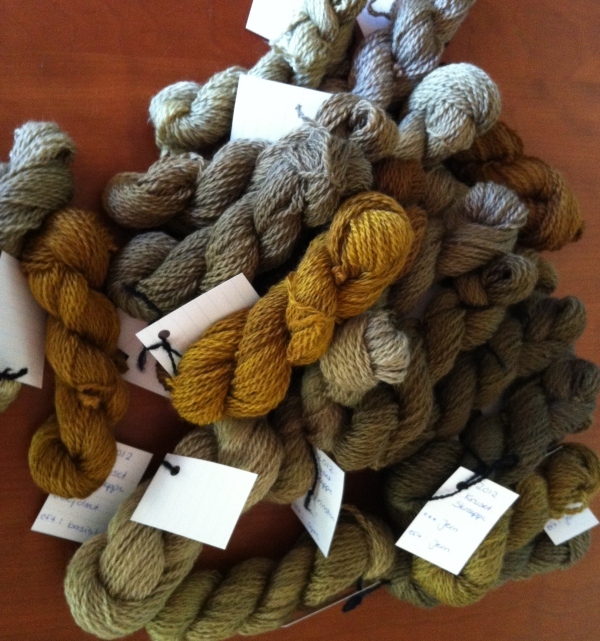 I’m going to use these yarns in a fair isle project. All the shades go so well together! Last week I was at a tapestry class. Great fun! 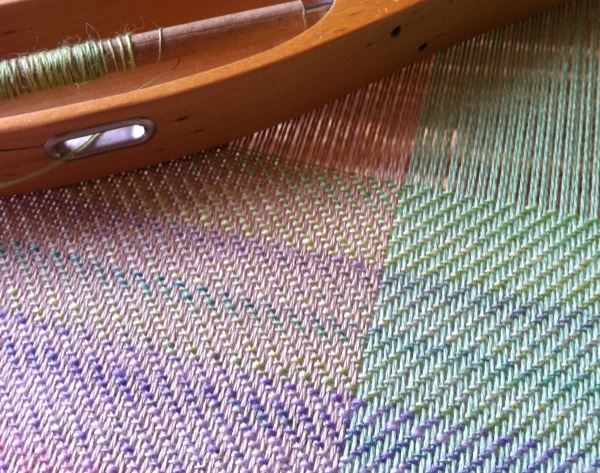 I learned a lot and really really want to get some work done on my big tapestry loom – but the time is not for that right now, sadly.. I have made two of these balls. 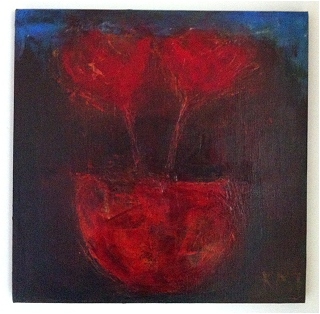 Still two to go..
A wonderful painting by a friend of mine, Karen Margrethe Jelonek. She is a very talented artist, and I was so fortunate to get this beauty in a trade for a piece of furniture.. Lucky me! The colors of this flower painting are deep and rich. Reds, dark and strong and warm, deep dark blues and greens and browns. I just loved the painting the moment I saw it, and also knew right away that these hues just had to become a fiber-colorway..
I’ll show the actual June-fibers in a few days! 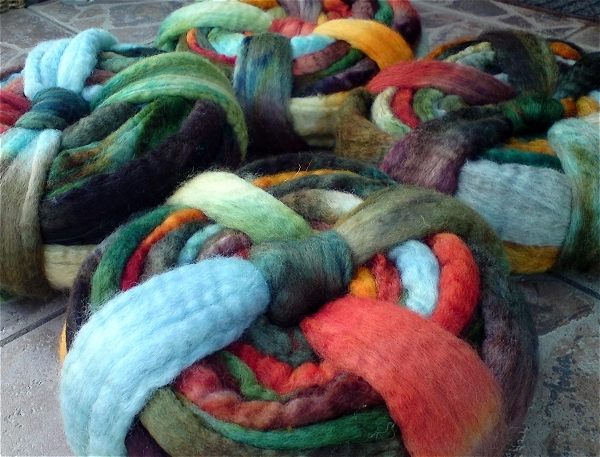 I just want to say that there are a few available slots in the Fiber Club , starting from June. So if you are very quick you can still join the fun for this month and the next two. See my Etsy-shop for details! 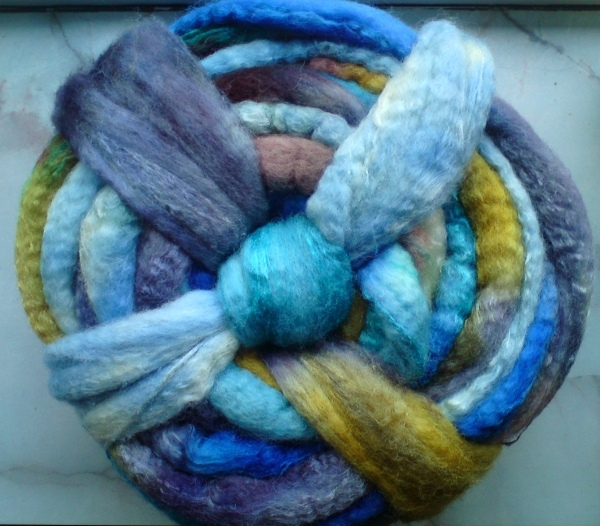 Using handdyed, handspun weft for this one. 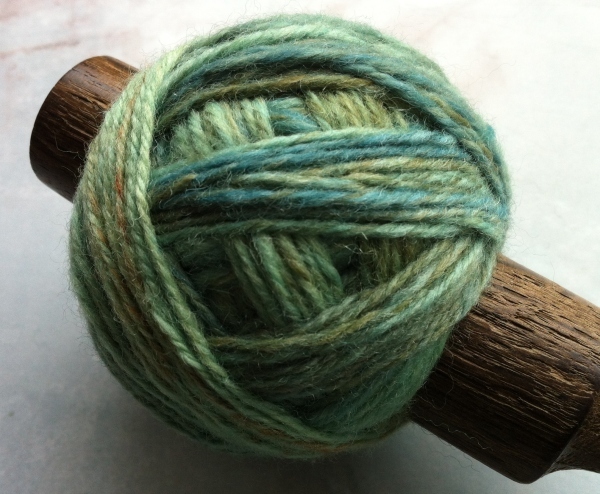 Alpaca and silk singles that I’m spinning (as I go along) on one of my favorite spindles, a Bosworth midi. It’s yummy stuff! Well, no, not exactly. Standing by a river or lake with a fishing rod never caught my fancy.. 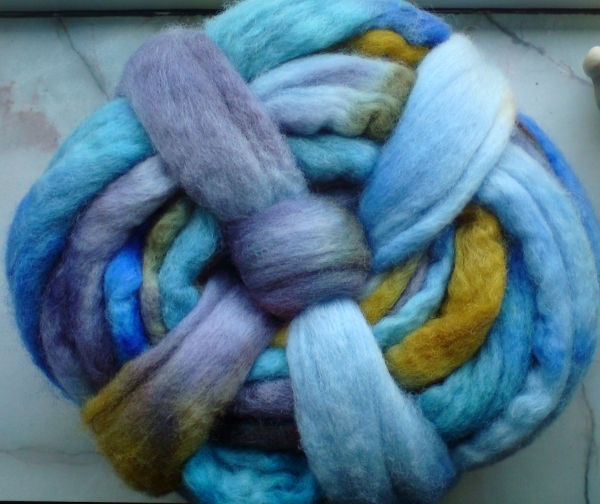 But I do find (most) fish beautiful and I have recently dyed/painted a lot of fibers in the “Perch”-colorway. It’s in the shop. This is my wolly interpretation of perch swimming in and out of the green plants in the lake on a sunny day.. I look forward to go swimming there again and watching these beautiful colors through my googles as I crawl along. Still too cold for open-water swimming, though. But soon! It reminded me of some animal. But which one? A squirrel, a fox, a camel, a bison ox? I couldn’t get my head around it, until suddely I looked over at the couch where our cat Rosa was taking her afternoon nap. 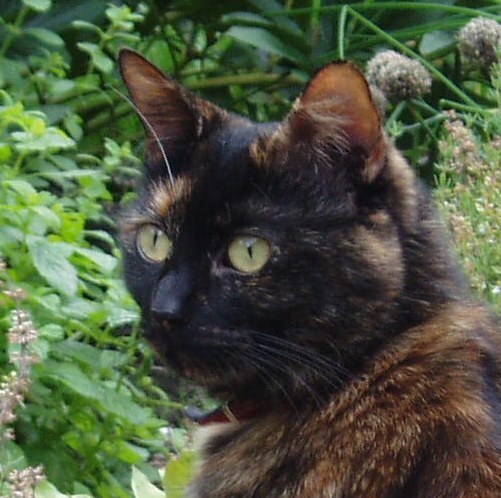 Then I knew: it was the dark brown, reddish brown and golden colors of our sweet kitty! 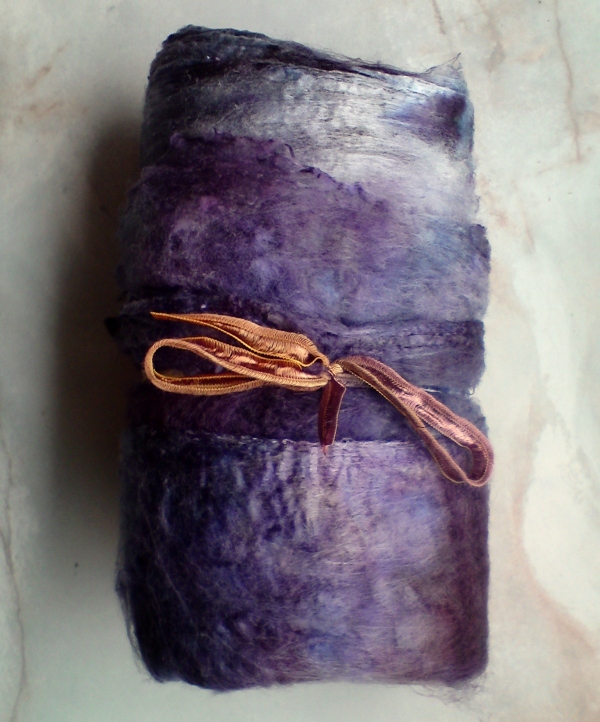 You can see this and all the other fibers I painted in these 2 new colorways, over at my Etsy-Shop!